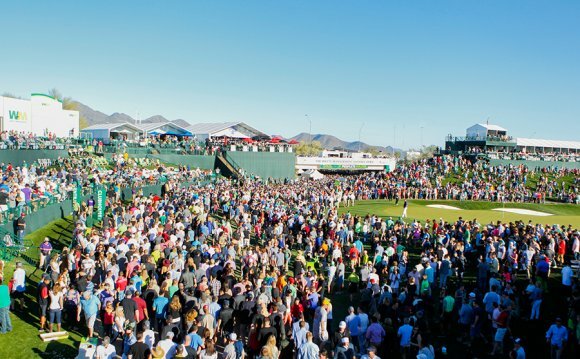 SCOTTSDALE, Ariz. – Bubba Watson apologized Friday for his comments two days ago that he was playing the Waste Management Phoenix Open only "because of my sponsors." "I used the wrong words, " Watson said after his second-straight, 2-under 69. "I have nothing against the fans and the tournament. The fans have been great. I love coming here. I've lived here every winter for eight years. This is a beautiful place. And the reason why I'm here is because of the excitement around this golf tournament. The fans have been great. "I used words that I shouldn't have used, " he said. "I didn't explain myself well. My wife says that, too, when I go home. I don't communicate very well." "I don't like it, " he said. "I'm not going to PC it. I don't like it at all. I just mentioned why I'm here. I've got three beautiful sponsors that love it here." Watson was unhappy with Tom Weiskopf's redesign before last year's tournament that toughened up several holes, tightened landing areas in the fairway and made it harder for bombers like Watson to carry fairway bunkers. "You know, it was about the golf course. I'm not a fan of the golf course, " Watson said on Friday. "I have said that for the – this will make 10 years. But I'm here because of the excitement. How would you not be here to support the tournament that brings out the most people? Out of any tournament we play around the world, this brings out the most people that we ever see at a golf tournament. So how would I not be here?" In Round 1, he stuffed his tee shot and made birdie. Friday morning, he found the green again, but then he three-putted and was heckled by the fans who packed the bleachers behind the hole. The two-time Masters champ tried to downplay the booing and expletives he's heard from the crowd. "When you hit a bad shot, they are rough with everybody, " he said. "I three-putted. They were rough then, too. But I gave out free socks, so they love me again. That's why I bring the stuff, so they all love me no matter how I hit it."